*We're sorry, sales not available in your state. With the purchase of a 50/50 raffle ticket you are helping the Churchill Downs Inc. Foundation which includes Thoroughbred Aftercare, Arts and Education, and Breast and Ovarian Cancer Research. 3. PLATFORM TECHNOLOGY: The website, web application, and the databases, software, hardware and other technology used by or on behalf of the Foundation to operate the Platform, and the structure, organization, and underlying data, information and software code thereof (collectively, the “Technology”), constitute valuable trade secrets of the Foundation. You will not, and will not permit any third party to: (1) access or attempt to access the Technology except as expressly provided in this Terms and Use; (2) use the Technology in any unlawful manner or in any other manner that could damage, disable, overburden, or impair the Technology; (3) use automated scripts to collect information from or otherwise interact with the Technology; (4) alter, modify, reproduce, or create derivative works of the Technology; (5) distribute, sell, resell, lend, loan, lease, license, sublicense, or transfer any of your rights to access or use the Technology or otherwise make the Technology available to any third party; (6) reverse engineer, disassemble, decompile, or otherwise attempt to derive the method of operation of the Technology; (7) attempt to circumvent or overcome any technological protection measures intended to restrict access to any portion of the Technology; (8) monitor the availability, performance, or functionality of the Technology; or (9) interfere with the operation or hosting of the Technology. 5. DISCLAIMER: THE CONTENT ON THE PLATFORM IS PROVIDED “AS IS”. THE FOUNDATION MAKES NO WARRANTIES, EXPRESSED OR IMPLIED, AND HEREBY DISCLAIMS AND NEGATES ALL OTHER WARRANTIES, INCLUDING WITHOUT LIMITATION, IMPLIED WARRANTIES OR CONDITIONS OF MERCHANTABILITY, FITNESS FOR A PARTICULAR PURPOSE, OR NON-INFRINGEMENT OF INTELLECTUAL PROPERTY OR OTHER VIOLATION OF RIGHTS. FURTHER, THE FOUNDATION DOES NOT WARRANT OR MAKE ANY REPRESENTATIONS CONCERNING THE ACCURACY, LIKELY RESULTS, OR RELIABILITY OF THE USE OF THE CONTENT ON ITS INTERNET WEBSITE OR OTHERWISE RELATING TO SUCH CONTENT OR ON ANY SITES LINKED TO THIS PLATFORM. THE FOUNDATION DOES NOT WARRANT THAT (A) THE FUNCTIONS OR SERVICES (INCLUDING BUT NOT LIMITED TO MECHANISMS FOR THE DOWNLOADING OF CONTENT) PROVIDED BY THIS PLATFORM WILL BE UNINTERRUPTED, SECURE, OR FREE OF ERRORS OR THAT (B) THIS PLATFORM OR THE SERVER(S) THAT MAKES IT AVAILABLE ARE FREE OF VIRUSES OR OTHER HARMFUL COMPONENTS. 7. REVISIONS: The Content appearing on the Platform could include technical, typographical, photographic errors, or other inadvertent errors or inaccuracies. We reserve the right, but without obligation, to make changes to document names and materials or to otherwise update or revise the Platform from time to time, though we are not obligated to do so. The Foundation does not warrant that any of the Content on this Platform is accurate, complete, or current. 8. LINKS TO THIRD PARTY SITES: The Foundation has not reviewed all of the sites linked to this Platform, if any, and is not responsible for the content of any such linked site. The inclusion of any link on our Platform does not imply endorsement by the Foundation of the third party website or any products or services available through such third party website. Use of any such linked websites is at your own risk. 9. INDEMNIFICATION: By accessing or using the Platform or any Content available through the Platform, you agree to indemnify, hold harmless and defend the Foundation from any allegations, claims, damages, losses, liabilities, and all costs and expenses of defense, including but not limited to, attorneys’ fees, resulting directly or indirectly from a claim by a third party that arises in connection with your use of the Platform or any Content available through this Platform. 10. GOVERNING LAW; DISPUTES: Any claim relating to the Platform shall be governed by the laws of the Commonwealth of Kentucky without regard to its conflict of law provisions. The Foundation’s charitable gaming license number in the Commonwealth of Kentucky is ORG0002461. Proceeds from today’s 50/50 Charity Raffle will go towards charitable organizations that benefit from the Churchill Downs Incorporated Foundation, a 501(c)(3) nonprofit corporation. 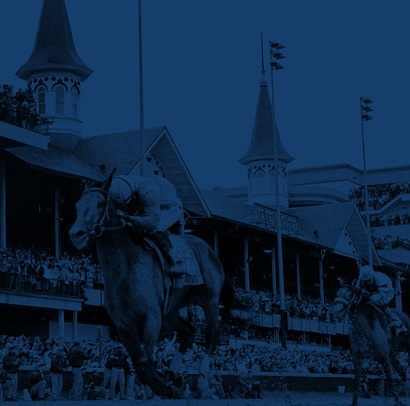 Churchill Downs cares deeply about the communities where we work and live and we are proud of our history of engaged and positive community relations. 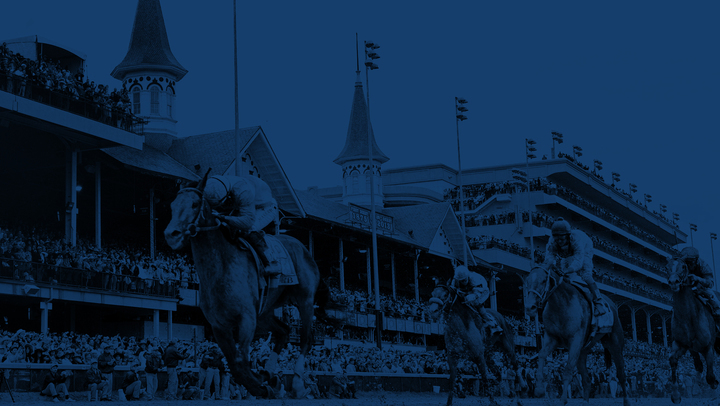 Since its inception in 2000, the Churchill Downs Incorporated Foundation has donated more than $2.2 million and thousands of volunteer hours to our charitable partners. These annual financial, volunteer and in-kind contributions help support the critical work of nonprofits in our industry, make a difference in important public health programs and provide meaningful opportunities in art and education. The Churchill Downs Incorporated Foundation has donated more than $140,000 to thoroughbred retirement initiatives, has provided important health services to our backside employees, has raised more than $740,000 for education and prevention research for breast cancer organizations, and has supported Louisville’s thriving art community. We are proud of the work we do to support our communities and are dedicated to continuing our legacy as a charitable partner. We hope you’ll join us as we work together to make our communities strong and vibrant. Cookies. We may also collect information related to cookies. Cookies allow us to track which pages you visit. This allows us to improve the design and accessibility of the Platform. The information collected may include the date and time a link was clicked, the amount of time spent on each page, etc. You can reset your web browser to refuse all cookies or to indicate when a cookie is being sent. However, if you do not accept cookies, you may not be able to use all portions of our Platform. We do not currently recognize or respond to a Do Not Track signal. Information we may receive from third parties. We may receive personal information about you from third parties. For example, if you access each Drawing through a third-party connection or log-in, i.e., through Facebook, by “following,” “liking,” etc., that third party may pass certain personal information to the Foundation. This personal information could include, but is not limited to, the user ID associated with your account (for example, your Facebook UID), an access token necessary to access that service, any information that you have permitted the third party to share with us, and any information you have made in public. You should always review, and if necessary, adjust your account settings on third-party websites and services before linking or connecting them to each Drawing. You may also unlink your third party account from each Drawing by adjusting your settings on the third party service. If you unlink your third party account, we will remove the personal information collected about you in connection with each Drawing. Analytics information. We may directly collect analytics data, or use third-party analytics tools, to help us measure traffic and usage trends for the Platform. These tools collect information sent by your browser or mobile device, including the pages you visit and other information that assists us in ways to improve customer experience and for internal marketing purposes. We collect and use this analytics information in aggregate form such that it cannot reasonably be manipulated to identify any particular individual user. Log file information. Log file information is automatically reported by your browser or mobile device each time you access the Platform. These server logs may include anonymous information such as your web request, Internet Protocol (“IP”) address, browser type, referring/exit pages and URLs, number of clicks and how you interact with links on the website, domain names, landing pages, pages viewed, and other such information. Commercial and marketing communications. We may use the personal information we collect or receive to communicate directly with you. We may send you emails containing newsletters, promotions and special offers related to the Foundation’s services and/or products. If you do not want to receive such messages, you will be given the option to opt out or change your preferences. Affiliates entities. We may share your personal information with any parent, subsidiary or affiliate entity. Disclosure permitted by law. We may share your personal information with law enforcement authorities, government or public agencies, regulators, and/or to any other person having appropriate legal authority or justification for receipt of your personal information. 3. SECURITY: We use commercially reasonable and appropriate efforts to safeguard the privacy of your personal information. Unfortunately, no security system is 100% secure and transmissions over the internet cannot be made absolutely secure, thus we cannot ensure the security of personal information you provide to us via each Drawing. In the event that we are required by law to inform you of any unauthorized access to your personal information, we may choose to notify you electronically, in writing, or by telephone at our sole discretion. 5. CALIFORNIA PRIVACY RIGHTS: Under California Civil Code sections 1798.83-1798.84, California residents are entitled to ask us for a notice describing what categories of personal information we share with third parties or corporate affiliates for those third parties or corporate affiliates’ direct marketing purposes. That notice will identify the categories of information shared and will include a list of the third parties and affiliates with which it was shared, along with their names and addresses. If you are a California resident and would like a copy of this notice, please submit a written request to the contact listed below.